Let me start defining or otherwise describing Giorgio Arman’s Si by saying it is a fruity floral (cassis and rose makes the case) or gourmand (the warmth of Vanilla Absolute and a touch of brown sugar). Then let me back up and suggest it’s also a modern chypre (which means somewhere in the mix there’s wood, floral, citrus, oakmoss, mint and amber or a classic ‘chypre accord’) or romantic, musky ‘wood’. 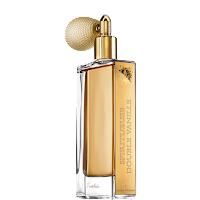 This by itself, is an impressive pedigree and in the end, it makes for a scent that is romantic, soft, sweet but subtly complex, memorable and long-lasting (for a subtle scent). There’s definite holding power to this gentle (slightly powdery) bouquet that would suit any age and any occasion (except maybe, the board room – if those still exist). 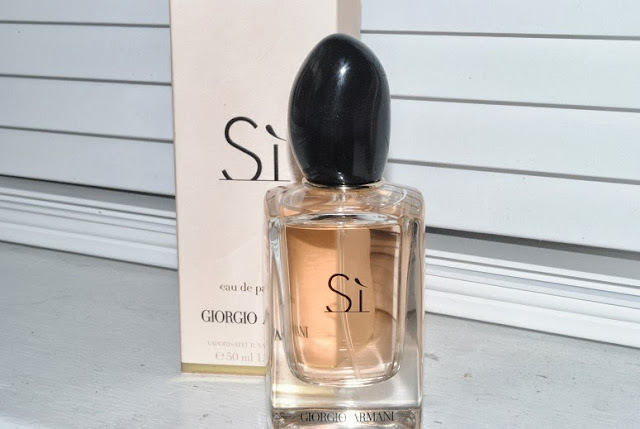 A woman who wears Si is the woman who means business and will get things done, her way but with a charming persistence that apolitically correct could be called….seduction. Si suggests an elegant woman in a three-piece suit but a suit made of the softest wool and cashmere so there’s no hard edges and no telling where one seams fuses into another – such is the mastery of the nose behind Si, Christine Nagel. 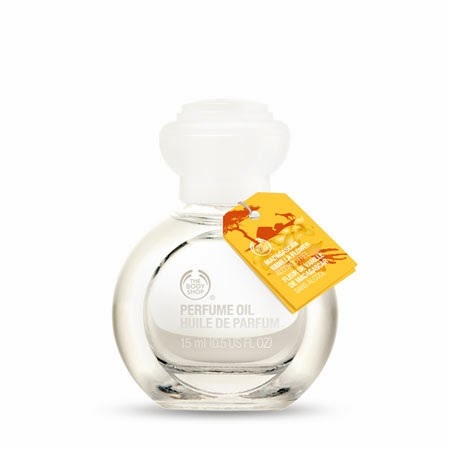 There’s also a curious balance of a scent that is feminine and slightly mysterious along with a quiet animalistic or jungle sensibility which is probably whatever Jungle Essence (listed in the PR sheets) is and the essential oils combined with fragrance oils. 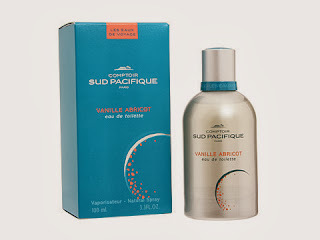 If you’re drawn to florals, a touch of fruit, like vanilla but not intensely a one-note vanilla, and appreciate a slight nod to woody warmth, this perfume is for you. Si works as a daily scent or evening-out scent and is perfect for end of summer, or when fall segues into winter or for a late spring. 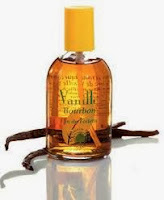 This is to say, it’s a signature scent for your wardrobe and/or a perfume than handles transitions well –whether you are between seasons, men, or times in your life. If I had to choose one word for Si, it would be: grace. It has grace and it is graceful – almost balletic and yet like the best of dancers, strong-cored with a certain intent that stays in the room, long after the dance is done. Middle Notes: Bulgarian, Turkish roses, licorice, smoked black tea. 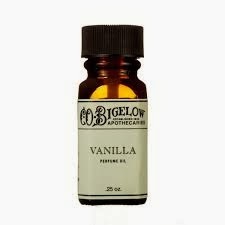 Base Notes: Aniseed, tonka bean, vanilla, iris, patchouli. Before I wax lyrical about Guerlain's La Petite Robe Noire, let me preface this review with two bold statements: 1) you can do no wrong to choose any and every Guerlain perfume, regardless of your taste in scent; 2) Guerlain is in its own class as a perfume maker - few, save Chanel, Patou or the house of Caron come close. Why? 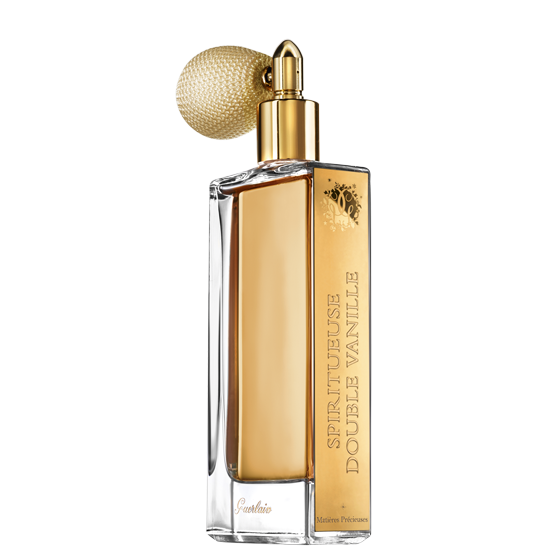 Thierry Wasser for one thing - the nose behind more than one Guerlain scent and one of the scent the perfume world's most masterful noses. 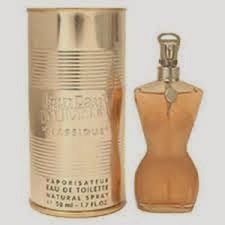 You could have no innate taste at all and choose Guerlain (any Guerlain perfume) and come out, well, smelling like a rose. 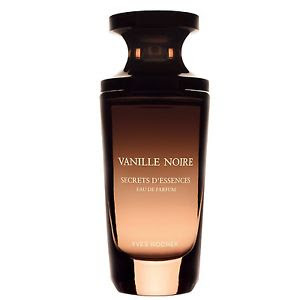 But now to La Petite Robe Noire - it is indeed a perfect black dress perfume - suitable for day or night and for women of any age although it has a definite flirtatiousness about it. 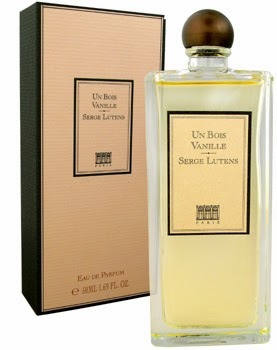 It starts sweet and fruity, mellowed with almond nuttiness, segues to floral sophistication of a twin bouquet of roses (Turkish and Bulgarian) and then is rounded out on accords of vanilla, another lashing of licorice (in the aniseed, which is always sporting whimsy and a pleasant candy note) and a quiet drum beat of sultry patchouli. It all leaves an impression of a femme fatale, certain of her own charms - wearing crinoline and black ribbons and underneath has a leather bodice-thing going on, intended for a later discovery. 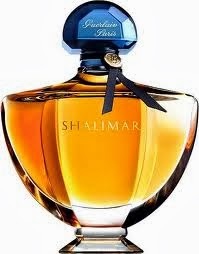 In other words, this is an exceedingly pretty, feminine, deceptively innocent perfume with the spine of a knowing temptress. For those who hedge at sweet perfumes, relax. 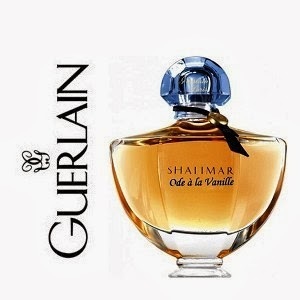 If anyone can bring sophistication to a sweet perfume, it's Guerlain. Moreover, the sweetness is so balanced, there is almost a litchee like watery-ness to whole affair that only adds to a feeling of sheer ripeness. 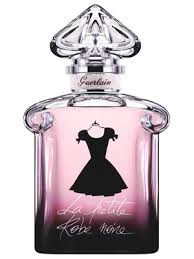 La Petite Robe Noire is in one of Guerlain's vintage shaped bottles, has a youthful black frock on the front and casual script lettering - graphic styling that only makes the potion inside that much more surprising. If you're a Cool Water or White Linen type, La Petite Robe Noire is probably not for you. If you adore being a girl - look no further. 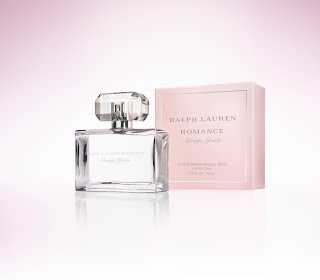 The nose behind Ralph Lauren’s romantic, quietly opulent Romance scent is Harry Frémont. 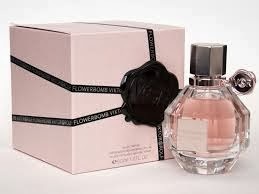 Launched in 1998, Romance comes in an aptly romantic pink carton and inside is a simple, clean, almost pure decanter that is square and resolute, without frills. Not too romantic at a glance but the bottle is feminine and fresh - and ok - totally fetching in its way. At its time, many perfumes smelled similar (Curve is often mentioned as a comparison) but as time has gone on and most similar perfumes have disappeared, it leaves Romance as the best of its genre, still around – making it somewhat of a classic. The perfume opens with a lush floral waft and it settles down into both warm and powdery notes making it great as a date perfume or daytime, office perfume. It has enough citrus to make it upbeat but enough wood in it, to tone down any edginess. It’s fresh more than sweet and more 'mature' romance rather than the sheer giddiness of a light dalliance. I often cannot really hone in on what’s beguiling about this perfume but I find myself returning to it nonetheless. The rose notes are cheering and the musk and patchouli warm things up just a bit. 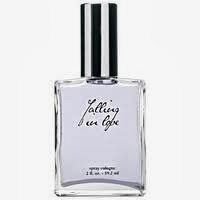 All in all, one feels feminine and optimistic setting out for the day, sporting this lovely scent.